What other delicious recipes might Campbell’s be cooking for my people? If you thought Fiesta Nacho Cheese, Kick-It-Up a Nacho or Mexican-style chicken tortilla soups were enough to satisfy the demanding palate of my people (i.e. Hispanics,) think again. 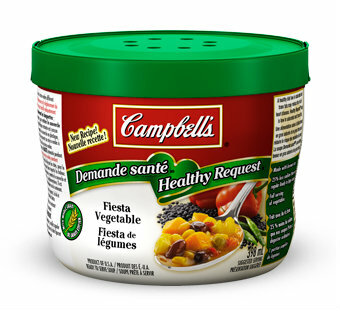 The venerable Campbell Soup Company, hoping to reverse a “soup slump,” is ready to accelerate its Hispanic-themed and Hispanic-targeted canned soups and other so-called food products. But don’t think that throwing in some queso and tortillas will be enough to attract more U.S. Hispanics. According to this article in Food Business News, the company “has added dual-language packaging for some of its products,” presumably in a similar way they’ve done with the “French” language. Alas, there was no mention in such article about how “Fiesta Vegetable” became Fiesta de légumes in “French” but I guess that’s material for a future post. 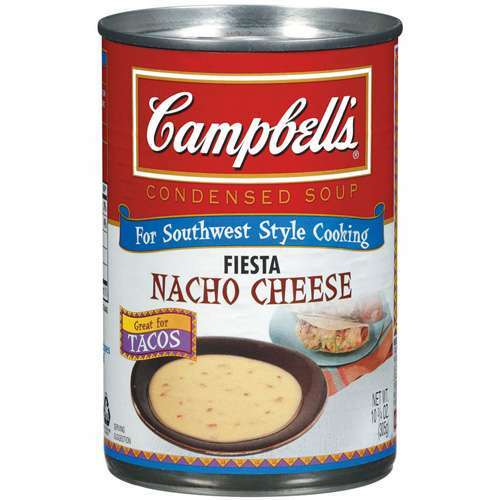 This entry was posted in Food, Language, Marketing & Advertising and tagged campbel hispanic, Campbell soup, Food, Hispanic marketing. Bookmark the permalink.